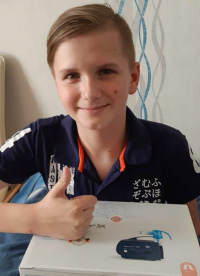 Vladislav is 14 years old and studies in the 7th grade. 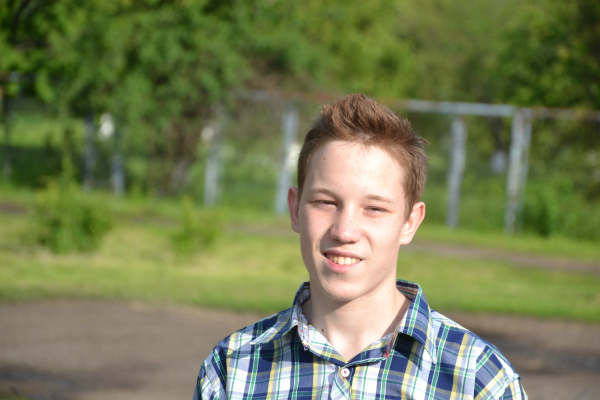 His favorite subjects are “labor,” mathematics and Ukrainian history. “Vlad” is especially fond of telling about Ukrainian Cossacks and their heroism. In the “labor” class his favorite activity is woodwork. 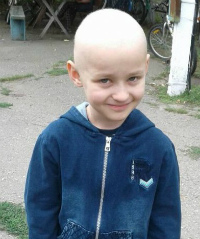 Vlad likes to stay active during his free time and especially likes to play football (“soccer”), basketball and ping-pong (table tennis). He also enjoyed being part of a breakdancing group and would like to continue. 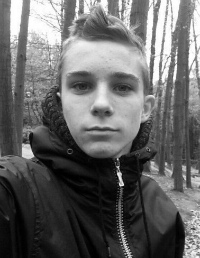 Vlad is a sociable and kind person and unsurprisingly, has many friends. When he grows up, Vlad wants a masculine and heroic job. He dreams of becoming a firefighter – to be kind and strong at the same time. He believes that these are the two most important characteristics for all men to possess. Vladislav really wants to be part of a kind and loving family. He is tired of being an orphan. “I dream of a family. 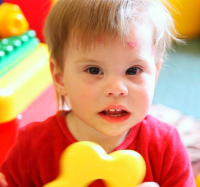 I wish that my parents went to work, I went to school and every night we spent time together.” He is ready to help with household chores – clean dishes and clean up the house. 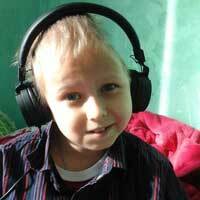 Please help Vlad realize his dreams so that he can be happy once again and live with a family! 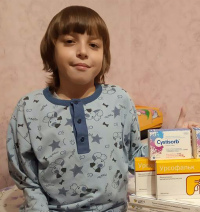 If you have been thinking about adopting this child or other children, please, read the memo to potential adoptive parents, guardians, and foster parents; or you can also contact Children’s Affairs' service of the Zaporozhye State Administration by telephones (061) 239-02-51 or (061) 239-01-56 and make sure to provide them with Vlad’s file number – 0055960. Диван кровать двухместный выкатной мебель мягкая диван кровать vykatnye-divanyi.ru.